Why the classics are important today is a radical question, according to John Henry Crosby, the founder and president of the nonprofit Hildebrand Project. “The sensibility that the classics are important, deserving of a place of recognition, and worthy of being learned from, is in many ways anachronistic today,” he said on July 27. But it is a question worth pursuing. Crosby, whose organization is dedicated to promoting the work of philosopher Dietrich von Hildebrand, believes that the scientific outlook has become our “template for measuring and evaluating reality,” replacing an outlook fostered by the humanities. The “dominance of science and technology, with its cycle of invention and obsolescence,” is so embedded in our experience that innovation inevitably trumps the humanities and the arts. Yet honoring cultural achievement is crucial for us, Crosby says. We intuit its significance when we visit a museum or attend classical concerts. We somehow understand that science only allows a quantitative, and therefore partial, understanding of reality, whereas the arts engage our emotional, bodily, and imaginative as well as cognitive selves—our complete beings. And this is the reason the humanities remain important. For Crosby, they allow us to encounter and understand our very beings. Even as science and technology expand our horizons, the arts and humanities protect us from a diminished, one-dimensional rationalist existence. Our humanity is most potently awakened through the classics, Crosby said, offering several examples. When as a very young child he heard Mozart’s “Jupiter” Symphony, he felt pure joy, an experience that left an indelible mark on him. Later, Bach’s “St. Matthew Passion” and “St. John Passion” conveyed to him realities like treachery, nobility, and sacrificial love in a way that enriched the text of the Gospels. And when he heard Bach’s Orchestral Suite No. 3, Crosby recalls, “It taught me what majesty is.” Through the piece, a vague notion of a human state became clear, even palpable. Crosby suggested a classic could be defined by at least three parameters: it contains a high dose of beauty, it is inexhaustible, and it has had a claim on our culture. The arts and humanities protect us from a diminished, one-dimensional rationalist existence. When a classic work first appears and is recognized broadly as a work that powerfully exposes our humanity, it stamps the culture’s consciousness, not only in its time but thereafter. Crosby described how composers after Beethoven wrote with his symphonies in mind. Shakespeare’s works became a point of reference for the English-speaking playwrights who followed him. The classics continue to have influence today because they never seem to exhaust themselves. Shakespeare’s plays continue to be performed, as do the works of Beethoven. The richness of these works still inspires and speaks to us. Crosby suggests that great works are inexhaustible on a personal level, too. 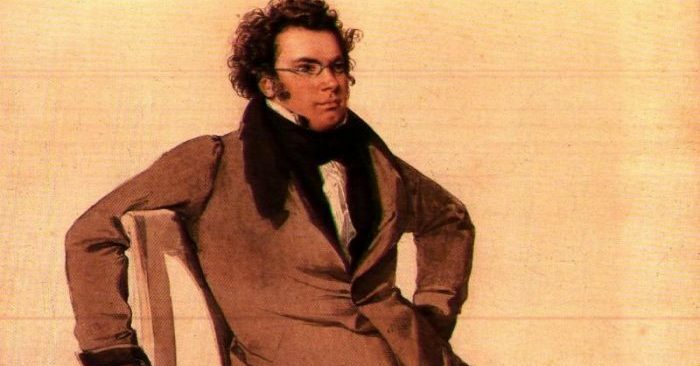 Franz Schubert’s “Die schöne Müllerin” cycle of songs traces the trajectory of romantic love, from the moment of a young man’s first ardor to the end of his relationship and afterward. Over the course of 20 songs, the cycle captures the essence of love in all of its stages. Crosby first heard the songs when he was in the first blush of a romance with the woman who is now his wife. He turned to them again after a painful separation from her and the songs offered him consolation, even hope. Years later, these songs have lost none of their pathos and speak to him in a richer, more nuanced way. This is the true test of a classic, Crosby believes: its power to nourish us, to be incorporated into our lives, and to inspire us to share it with others. Classics are deeply accessible and allow a lifelong relationship. This relationship with a classic mirrors those between people, Crosby believes. Jewish philosopher Martin Buber spoke of the “I-Thou” relationship to describe a spiritual relationship with another being. 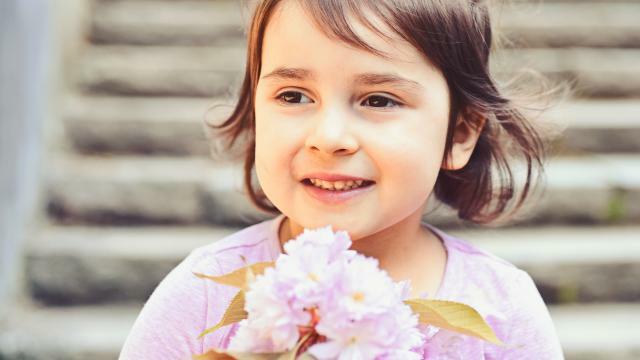 It’s when, rather than treating someone as an object separate from us to be used or experienced, we enter into a kind of dialogue with the person that is suffused with compassion. Buber claimed that a classic piece of art can enter into a I/Thou relationship, and Crosby concurs. We easily succumb to this relationship, this encounter, in which we learn about ourselves, because most often classic works of art are movingly beautiful. They draw us to them—possibly even to the point that we come to love them. Plato believed that beauty kindles love, Crosby said. The classics are deeply accessible and allow a lifelong relationship. “When we venerate something in our own hearts, we belong to it in a sense. We are deeply formed by it,” he said. That is, if we love something, we open ourselves up to learn from it. During the time that internationally renowned Latvian-born conductor Mariss Jansons helmed the Pittsburgh Symphony Orchestra, Crosby attended a performance of Gustav Mahler’s Fifth Symphony. At the conclusion of the 75-minute piece, the audience was so appreciative that they kept up the applause, hoping for an encore. They were relentless. As any encore would have been inappropriate or, at the very least, anti-climactic, Jansons graciously accepted the applause but then held up the score to communicate, with conviction, that the audience was not applauding him, but Mahler. This was a moment that displayed reverence for a classic. Perhaps reverence for the classics comes more naturally to those trying to master an art, Crosby said, whether a musical instrument or a painting technique. Budding artists may be poised to better understand how demanding these disciplines can be because they understand that learning is fostered when students sit at the foot of a master and submit to the tradition and craft. The mindset required is one of opening up oneself, with a degree of awe and admiration—a reverence, if you will. This is a necessary virtue: One can only master a craft by first humbling oneself before those who have already done so. Crosby feels privileged at having been raised in an atmosphere of reverence for the classics. His father was one of the last students of Hildebrand, a Catholic philosopher and one Europe’s leading voices raised against Nazism and Communism. He believed beauty is essential to humankind. Crosby’s mother is from Salzburg, Austria, a place steeped in the heritage of classical music, which was the mainstay of his family. He studied violin, eventually with Daniel Heifetz, an American concert violinist and founder of the Heifetz International Music Institute. Until injuries interfered, Crosby had hoped for a professional career. Crosby was raised with German as his first language. That enabled him, as a teenager, to complete his first translation of Hildebrand’s essay on Mozart. When he returned to translating Hildebrand in his early 20s, what started as simply a one- to two-year project of translating Hildebrand’s “Aesthetics” became a mission to further the philosopher’s ideas and to found the Hildebrand Project. Given the central place of beauty in Hildebrand’s thought, the Hildebrand Project supports artists, religious leaders, and scholars by providing seminars on beauty—not to impose Hildebrand’s ideals, but to invite attendees into a perspective defined by beauty, a vocabulary to assess it, and perhaps a vantage point to overcome ugliness. Approaching the classics with reverence is rare today, Crosby said. Some people feel something closer to intimidation than they do an openness toward them. For them, the classics are so rarified and formal, even elitist, that many feel cut off from them. For these people, an intimate introduction may be in order. For skeptics, instead of awakening reverence and wonder, the classic arts act only as a way to preserve our heritage or show our culture’s development over time. Some academics, he said, take only a scholarly approach to art, much as they would toward the sciences, and study the history and philosophy of great works while remaining critically distant from them. Some try to undermine the greatness of the classics by pulling down their creators, ferreting out their psychological conditions, or pinning sociopolitical explanations on them. These explanations may be interesting, but, if anything, vindicate these works, for, despite these limitations, their authors, composers, and painters have surpassed these difficulties to create works of magnificence.